The Sheep Whisperer: Buffalo Business! 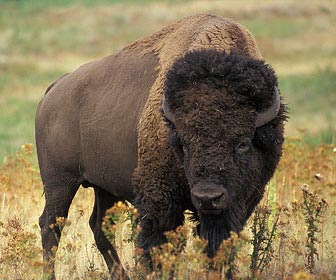 The American Bison, also referred to as the Buffalo, is the largest of the North American land animals. Measuring twelve feet long & six feet high, this majestic creature has few natural predators, besides the grizzly, cougar, timber wolf, & man. The male weighs as much as 2000 lbs., & the female about 1000 lbs.! Surprisingly, they are both able to gallop at a pace of up to forty miles per hour! Don't Buffalo me! Where's the Beef? I bet ewe I can outrun ewe! 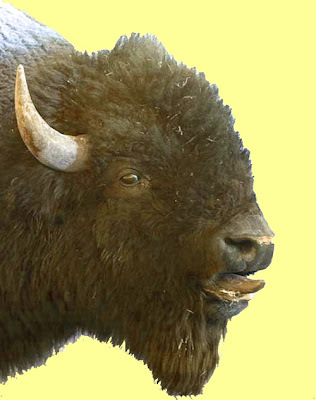 The Native American Plains Indians hunted Buffalo for survival. 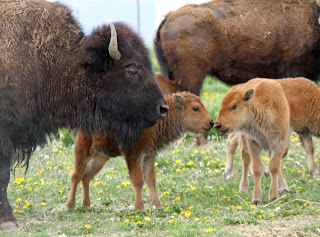 Killing a bison was the equivalent of going to a General store!Besides providing food, the buffalo also provided a variety of tools, weapons, clothing, shelter, footwear, blankets,& eating utensils. Plains Indians wasted nothing and used every part of the animal. I hate to be nosey, but who does ewer hair? The Bison struggle with poor eyesight & are easily startled, which contribute to a lack of alertness. Webster defines Alertness as: watchfulness and readiness; lively attentiveness. Indians used these weaknesses to their advantage while hunting them. They positioned braves stealthily around the herd. At the right moment, the braves would let out a frightening scream.The startled herd then stampedes wildly, very often either into a group of awaiting hunters, or a cliff, where they would, unknowingly, fall to their deaths. Let's face it!Ewe wish ewe looked this Good! 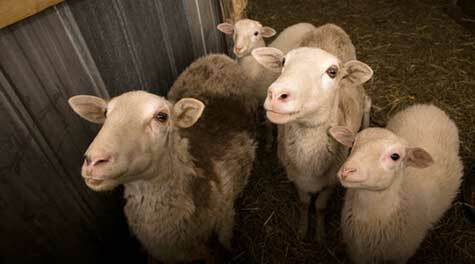 EWE can't sit, oh, Ewe can't sit down! Ewe have to Move, Move, around & around! Shepherd to be alert for them. The life Ewe live today is not meant to be lived alone! Ewe have a Shepherd who is very alert to both the dangers & possibilities this day holds. Enjoy His Care!